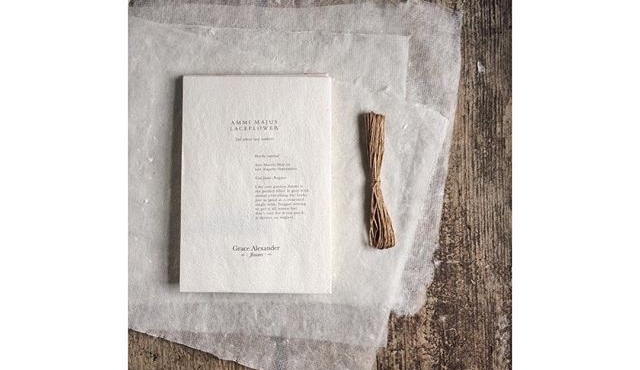 The most beautiful little seed envelopes ever now in stock ..
Grace Alexander Flowers is a third of an acre field in a village in Somerset. Here, she grows the flowers she loves, in colours that she loves. And she believes that the only thing better than flowers are flower seeds. The seeds that she doesn’t grow herself are sourced from the best UK based wholesale suppliers. The envelopes used for the very lovely seed packaging are not only the most beautiful papers ever, but they support responsible agriculture and business in India. The cotton rag Khadi used comes from T-shirt cuttings, a reliable and sustainable source of pure woven cotton.